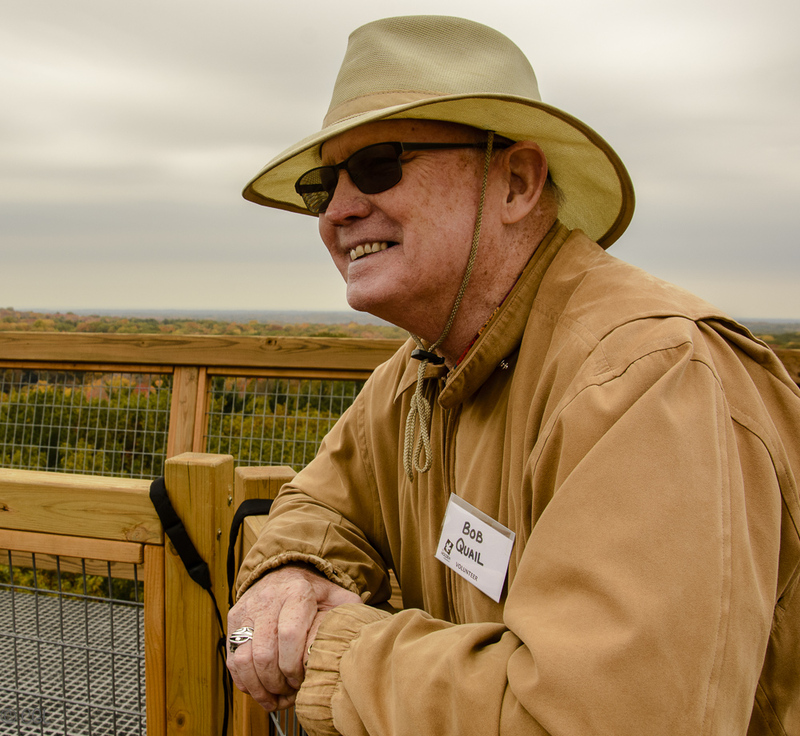 I encountered this week’s Fabulous Friday Face when I made my fourth climb to the top of the Emergent Tower at Holden Arboretum on Thursday. I should have posted it on Friday, so I am a day late. Where does the time go anyway? There’s always a volunteer on duty at the top of the Tower, and that’s where Bob was stationed this week. In our very short conversation, he listed four or five states where he has lived. Didn’t like Florida, not at all, but apparently would move back to Colorado at the drop of a pin. He would move there, if he only could, with his deceased wife. Then he would be living in his favorite place with the love of his life. Meanwhile, he is living in Ohio and doing a terrific job of volunteering at the Arboretum, chatting up the visitors and taking photos of people who hand over their cameras to record the memorable moment. Well done, Bob. And thanks for being my Fabulous Friday Face.